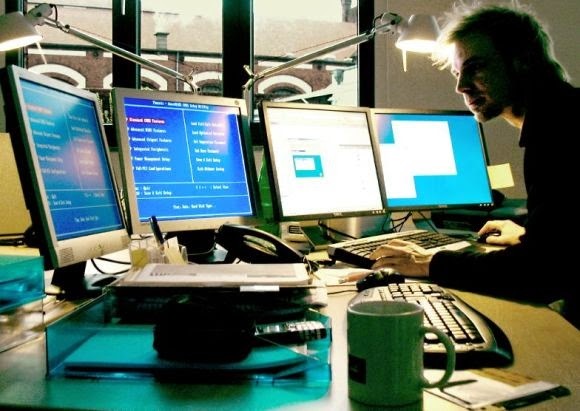 Sitting in front of computer for hours whether it is for your office work or you are playing games may cause muscle strain, tension or many other health issues including back pain, wrist, neck and shoulder related problems. You should do these 10 exercises everyday to avoid these health related issues if you used to spent most of your time in front of computer screen by seating idle. You can do this by seating your chair. 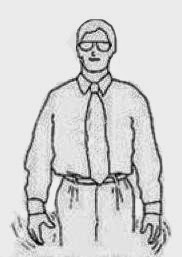 Cross fingers of your both hands, lift your hand in front of your shoulders in 180 degrees with body. Feel the stress in both arms. Do it for 10-20 seconds for two times. 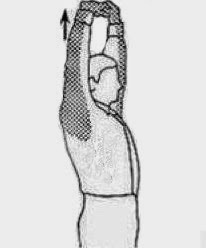 As shown in the picture below, lift one of your hand up and one down and hold the position for 8-10 seconds and reverse it for other arms too. Put your left leg on right as shown in the picture below. 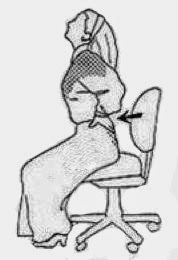 Hold the left knee with right hand and rotate your head, neck and shoulders in anticlockwise direction so that you could see the back of your chair, hold it for 5-8 seconds and release. Do the same for other side too. 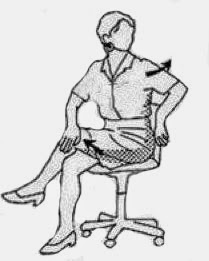 Sit straight and hold your waist with both hands and push it little forward and hold it for 5-10 seconds. Refer the image below to do it properly. Repeat this two times. 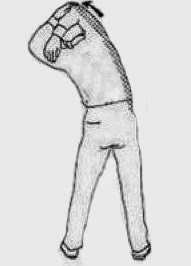 Hold your right hand elbow with your left hand and slowly bend at the waist to left side until you feel a mild stretch in your back by pulling elbow to right, to understand batter refer the sketch below. Do the same thing for other side too. Stretch your neck left and right for 4-8 seconds each side. Repeat it for 3-4 times. Join your palms as doing prayer. 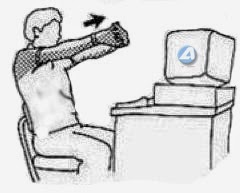 Raise your elbows until you feel the stretch in the palm side of forearm hold it for 4-6 seconds. 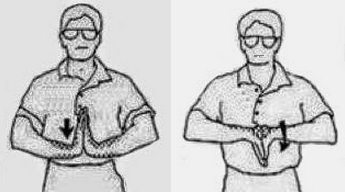 Do it also by lowering your hands down as given in the second pic below. Push your shoulders up and hold it for 4-6 seconds and release. Repeat it for 4-6 times. 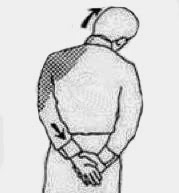 Make loose your hands, feel them relaxed and tremble for 4-6 seconds. Repeat it for 3-4 times. As you have seen, these stretch exercises are very simple and easy to do. So, never forget to spend some time daily to do these exercise to avoid various health issues. If you know more stretch exercise to add add here please add it in the comments. Take Care!